Fire Debris Analysis – Armstrong Forensic Laboratory, Inc. 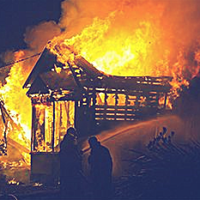 Trained experts providing comprehensive Fire Debris Analysis to establish the facts. With more than 40 years experience and more than 30,000 cases, we are here to help you and your investigation. The study of fire debris analysis is crucial to all fire investigations and fire investigators alike. Many methods of analysis are utilized such as gas chromatography and gas chromatography-mass spectrometer. Contact us today for full support of your situation involving Ignitable liquids, Drug Chemistry, Spontaneous Combustion, Dryer Fires, Soot Damage, Explosives, Vegetable Oil Residue, or Unknown Material Identification, and receive your Free Initial Consultation. We Provide Facts For Your Origin and Cause Investigations. Fire Debris Analysis provides testing, and analyses in support of fire and explosion investigations with an eye toward research that is of benefit to the entire fire investigation community. Fire Debris, Controlled Substances, Paints, Fibers, Textiles, Blood Alcohol Content (BAC) and General Chemical Testing. Texas Forensic Science Commission certified Technicians, Analysts, and Laboratory.